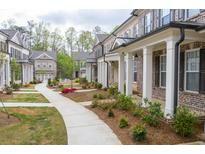 This Is Your Opportunity To Live Conveniently Located To Centennial High School, Ga 400, And East Roswell Park! MLS#6535049. Keller Williams Rlty Consultants. Sterling Crossville - Jack And Jill Bath Connecting Two Rooms Upstairs 2nd Room Great For Office/Den Or Can Be Opened To A Window For A True 3rd Bedroom. MLS#6535203. Coldwell Banker Residential Brokerage. Hidden Lake - Great Location, Convenient To Hwy 400, Tons Of Shopping & Restaurants & Just 3 Minutes To Downtown Roswell! MLS#6534060. Keller Williams Rlty Consultants. Conveniently Located In Roswell Near Shopping And Restaurants. MLS#6533954. Keller Williams Realty Community Partners. Gated Community, Great Schools, Awesome Amenities. Hurry! MLS#6533859. Keller Williams Realty Partners. Home Comes With A 30-Day Buyback Guarantee. Terms And Conditions Apply. MLS#6532648. Opendoor Brokerage, Llc. Large Great Room. Private Deck Overlooking The Woods. MLS#6534264. Berkshire Hathaway Homeservices Georgia Properties. Crabapple Commons - Large Extended Fenced Patio W/ Automatic Awning. New Roof & Systems. MLS#6532942. Chapman Hall Realtors. This Is The Perfect House That You Have Been Waiting For! Love Where You Live! MLS#8558884. Berkshire Hathaway Homeservices Georgia Properties. Liberty Lofts - You Could Be Lucky Enough To Live In The Heart Of Everything! MLS#6532396. Keller Williams Rlty Consultants. This Model Townhome Offers Exquisite Finishes With Many Upgrades Throughout. MLS#6531788. Custom Realty Group, Llc..
Harris Commons - Split Bedroom Floor Plan W/ All The Updates. MLS#6531828. Maximum One Realtor Partners. 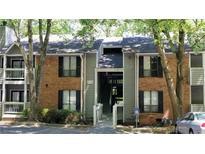 All Within Walking Distance 2 Roswell Rest/Shops Vickery Creek Trails & The Historic Roswell Mill. 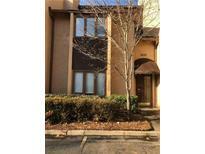 4/3/1 MLS#6514452. Solid Source Realty, Inc..
Heritage At Roswell - Finished Terrace Level With Full Bath And 4Th Bedroom Adds Flexibility To Family Living In-Laws, Teenagers, Media Room, Etc. Great Schools And Amenities. MLS#6531084. Potts Realty Inc..
Hoa Dues Cover Water, Sewage, Garbage, Termite, Exterior Maintenance--Leaving You More Time To Enjoy Yourself! MLS#6520707. Keller Williams North Atlanta. 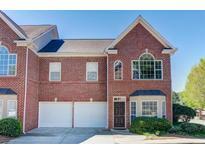 Harris Commons - Beautiful 3 Bedrooms And 2 1/2 Bath With A Very Open And Airy Floor Plan. A Must See. MLS#6530485. Capital Marketing Group, Inc..
Meet Your Neighbor At The Community Gathering Park Or Community Dog Park. Photos Of Similar Home MLS#6530054. 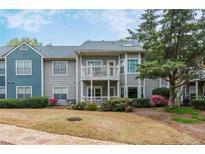 Sm Atlanta, Llc..
Views At Coleman Village - Fantastic Back Deck With A Wooded View And Grassy Common Area! MLS#6530112. Century 21 Connect Realty. 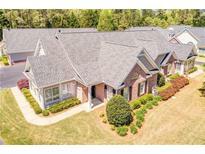 Very Comfortable And Low Maintenance, Low Hoa Fees, Pool, And Minutes From Ga-400,Chattahoochee River Park, Shopping,Restaurants,Entertainment. MLS#6530030. Maximum One Greater Atlanta Realtors. Community Gathering Park With Fire-Pit And Dog Park. Photos Of Similar Home MLS#6529425. Sm Atlanta, Llc..
Fee Simple With Low Hoa Dues And No Rental Restrictions. Great Investment Buy. MLS#6529013. Real Living Capital City. Riverwalk - Ceilings 9'-10'-9'. Photos Not Actual Home. MLS#6528555. Sharp Realty Associates. Riverwalk - Ceilings 9'-10'-9'. Photos Not Of Actual Home. MLS#6528559. Sharp Realty Associates. Riverwalk - Ceiling 9'-10'-9'. Photos Not Actual Home. MLS#6528489. Sharp Realty Associates.